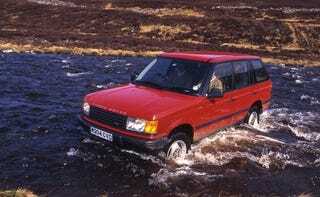 What makes the second generation Range Rover so desirable? I was out doing my rounds at work when I saw this^, a second generation Range Rover, and I remembered just how good looking they are. But what is it about them that makes them so good looking? What makes them so desirable? Surely it’s not the curves...cause there literally are none. I’m pinning it on where it stands in Lamd Rover’s history, being the last Rangie before it became the must have tool for the jet set and the soccer players...but what do I know?